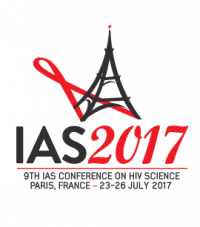 Organized by the International AIDS Society (IAS), the 2017 IAS Conference on HIV Science will take place in Paris, France from July 23-26, 2017. This conference brings together scientists, clinicians, public health experts, community leaders, and media professionals to meet and discuss the latest scientific developments in HIV-related research. This year, the program will focus on highlighting advancements in understanding viral-host interactions, in the better characterization and targeting of the HIV reservoir, and ways to combat HIV persistence, as well as interactions with other fields, such as cancer research and immune-based therapies. DC CFAR investigators participating in this year's conference include co-director, Douglas Nixon, who is co-chairing a symposia session entitled, "Basic Vaccinology", Manya Magnus and Irene Kuo, who are presenting two poster sessions entitled, "Association between a novel telehealth intervention and utilization of HIV services among transgender women of color in Washington, DC, U.S.A" and "Building a telehealth intervention to facilitate engagement in HIV and related health services by transgender women of color in Washington, DC, U.S.A", Matthew Levy, who is presenting a poster session entitled, "Structural barriers and reasons why we are still failing to stop HIV in an era of effective pre-exposure prophylaxis (PrEP): a mixed-method study", and Rachel Scott, who is presenting research from her DC CFAR pilot award in a poster session entitled, "Maternal outcomes of pregnancies complicated by HIV: preliminary results of a retrospective matched cohort study from 2004 to 2014". Click here for more information on the 2017 IAS Conference.